A pro-European campaign organisation and the UK Independence Party are among those to have been fined over the way their finances were reported. 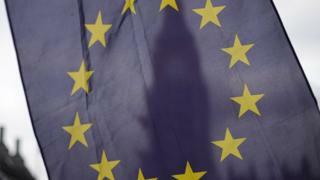 The Electoral Commission said the European Movement UK's spending return for last year's EU referendum had been "incomplete and inaccurate" and fined it £8,750. UKIP was fined £1,000 for late delivery of a donations and loans report. Both organisations have paid their fines. The commission is in charge of monitoring rules on political finance in the UK, and publishes regular updates on its investigations. European Movement, chaired by former Conservative cabinet minister Stephen Dorrell, was required to submit a return because it was a registered campaigner in the EU referendum, which brings limits on spending. Its return missed out 23 payments totalling £14,307 but wrongly included a separate 47 payments totalling £112,863. Another registered group, the Campaign for an Independent England, was fined £1,000 for a "significantly late" return.